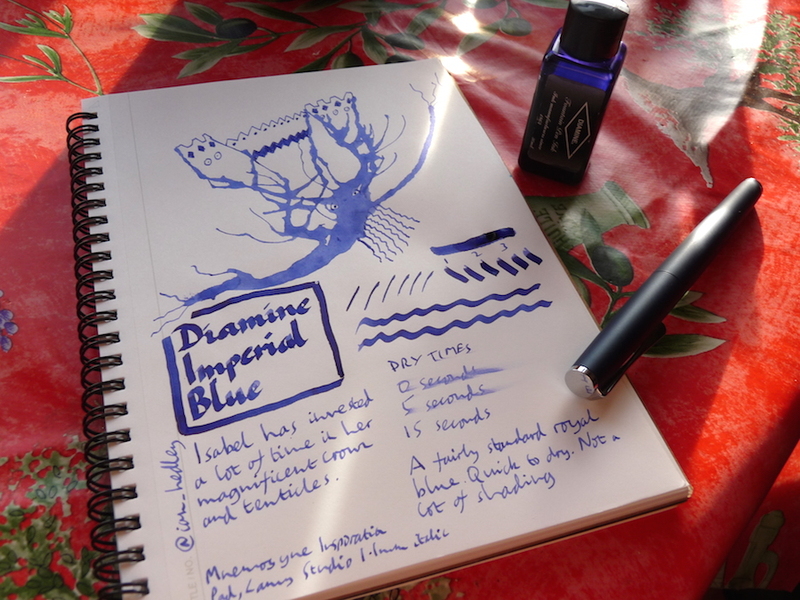 Diamine Imperial Blue Ink Review – Pens! Paper! Pencils! Back to a classic Diamine blue this week. 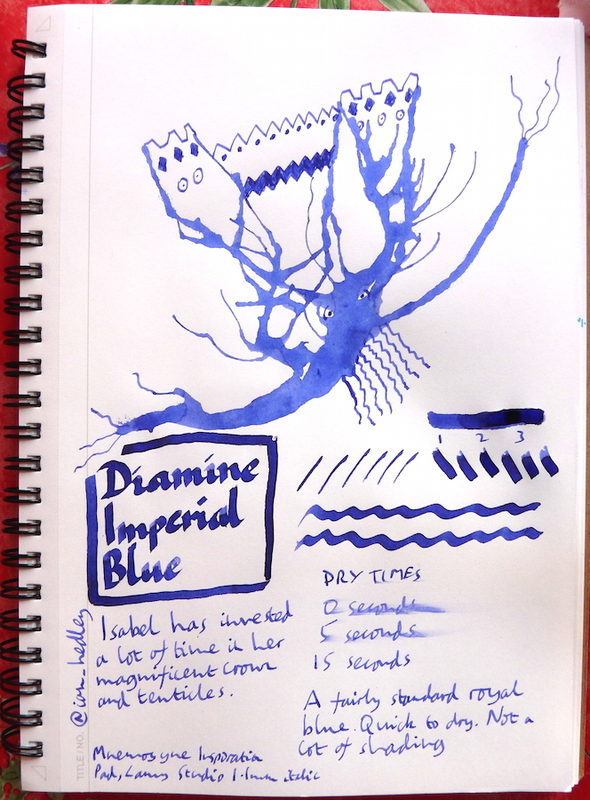 It’s not the most exciting colour but as with just about all Diamine inks it behaves well and dries quickly. If you need a royal blue in your collection then this is a good option.